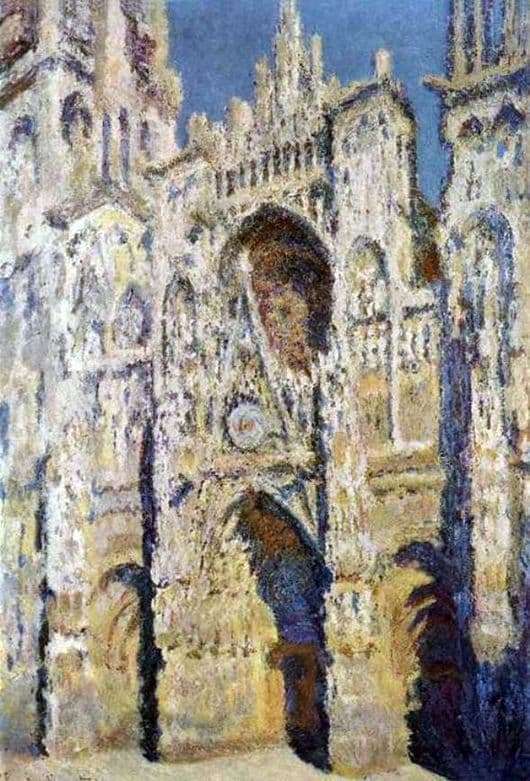 One of the most famous and impressive series of paintings, the famous Claude Oscar Monet, called “Cathedral in Rouen”, the series has thirty works. To create his canvases Monet settled in 1892 right in front of the cathedral and began work on his brainchild. The artist is very fascinated by the play of light on the stone, depending on the time of day, Monet tried to catch this “sliding light”, which appears and disappears depending on weather conditions and the height of the sun. The French artist focused not on the whole cathedral, but only on its part, the tower of St. Martin and the tower of Alban, this fragment serves as a kind of portal of the Gothic cathedral, this part is depicted on all canvases. Monet woke up at dawn and painted until dark. Over time, Monet put on a picture a thicker layer of paint to emphasize certain details and creates the impression that the picture has its own light. The artist complained that the sooner the work progressed, the more difficult it was to display his vision, he also complained that he had nightmares where the cathedral fell on him and always changed color to become either yellow, or pink, or blue. For the first time, viewers saw pictures of Rouen Cathedral at an exhibition in 1895, although the critics of the line caused conflicting feelings, it changed the outlook of many French and foreign artists. Almost immediately, 8 paintings were sold to various collectors. Monet wanted to sell the remaining paintings to one collector, but because of the relatively high price (15 thousand francs), the paintings went to different owners.